Microscope Gallery is extremely pleased to present as the final night in a two-part series of works by the Japanese video and computer animation pioneer Ko Nakajima the full 90-minute version of his most well known work “Mt. Fuji”, made in 1984. 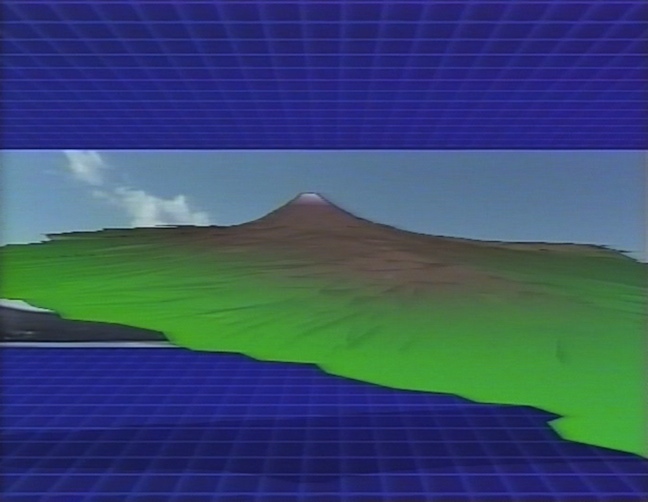 While the 20-minute version has previously screened in the US – including in the 1986 program “New Video: Japan” as part of “Close Up of Japan, New York 1985-86” at the Museum of Modern Art and the subsequent traveling program, among others – the original version of the work has rarely, if ever, been shown in the US. A 7-minute long “short version” also exists.